Whether fronting a band or sitting in with musical heavyweights, Grace Kuch conveys a rare ease and instinct on blues guitar. Just 15, she’s already distinguished herself nationally playing renowned venues across the U.S., including the Memphis International Blues Challenge, Greeley Blues Jam, King Biscuit Blues Festival, Big Blues Bender, and more. True to her name, she moves gracefully within traditional blues compositions on both acoustic and electric guitar, while her distinctive solos convey the keen clarity of a gifted young artist on the rise—and eager for more. Grace’s background includes bluegrass, folk, and pop, but in 2014, blues became her focus when she discovered the expressive possibilities of electric guitar. Since then, she has played hundreds of gigs, attended prestigious blues camps across the U.S., and sat in with celebrated local and national artists. In the Grace Kuch Band, she fronts a group of seasoned musicians on lead vocals and guitar and also performs in a local youth band. 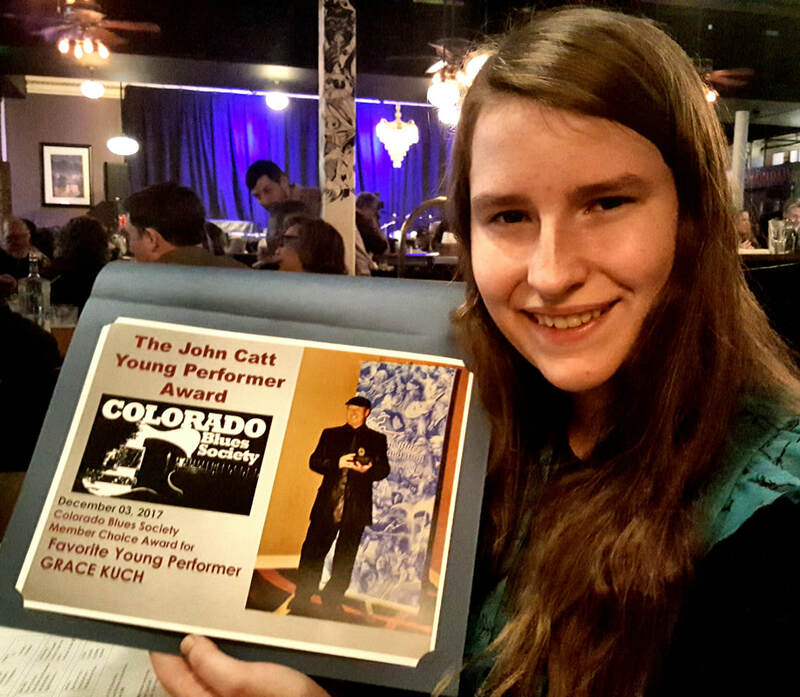 Grace was named Best Youth Performer in both the 2017 & 2018 Colorado Blues Society Members’ Choice Awards. She won a full scholarship to the hallowed Pinetop Perkins Foundation Workshop, as well as a John-Alex Mason Memorial Scholarship and Generation Blues Scholarships from the National Blues Foundation. In 2016, Smithsonian Magazine profiled Grace in its article “Keeping Blues Alive,” about the 32nd annual International Blues Challenge. In 2015, she was listed in American Blues Scene Magazine's 10-best list "10 Musicians Under 18 You Should Know". Grace is based in Northern Colorado. To learn more, visit www.gracekuchmusic.com. Biography written by Johannah Racz Knudson of Helio-graph Communications, Inc.
Grace is an Ambassador for The Peyton Heart Project. Their global mission is to help stop suicide and bullying and to help end the stigma surrounding mental health issues. She makes small crafted hearts that have inspiring quotes attached to them. Each one made by hand and each one representing the delicate heart of a life lost to suicide. 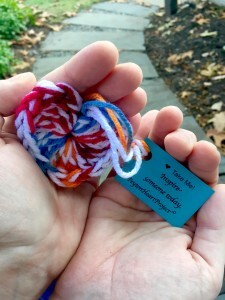 These hearts are spread in the community to leave people with a feeling that there is still good out there in the world. Everyone’s life matters, each one of you is important. At each of her performances this summer and beyond, she will share encouraging messages and bring hearts to share this mission. See her message and song dedicated to the Peyton Heart Project at the 2017 Greeley Blues Jam below. Visit The Peyton Heart Project website for more details of how to get involved.